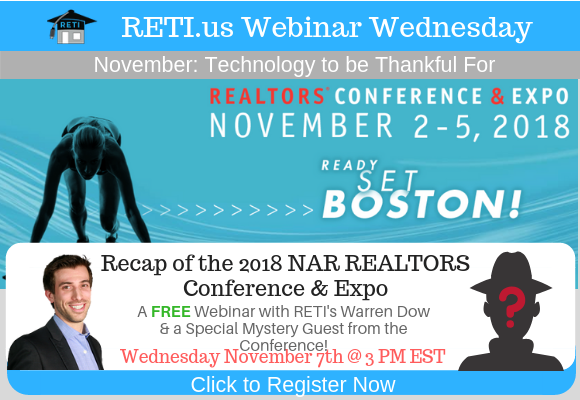 RETI’s Recap of the 2018 NAR Conference in Boston! The National Association of REALTORS Annual Conference is always one of the highlights of the year for many in the real estate industry. With amazing educational sessions, governance meetings, networking and more, it is definitely one of the premier events that most in the industry mark on their calendars each year. And this year it is in Boston! So join RETI Team member Warren Dow as he gives his recap of all the biggest revelations, new tech findings and more! Plus Warren is going to pull in a special mystery guest of a vendor who blows him away at the conference. So stay tuned and be sure to sign up/log on to the webinar to find out who that will be! Special Guest: ?, logon to find out ? Social Media is a key to generating business these days. But if you don’t know what you are doing, it can also be confusing and overwhelming. 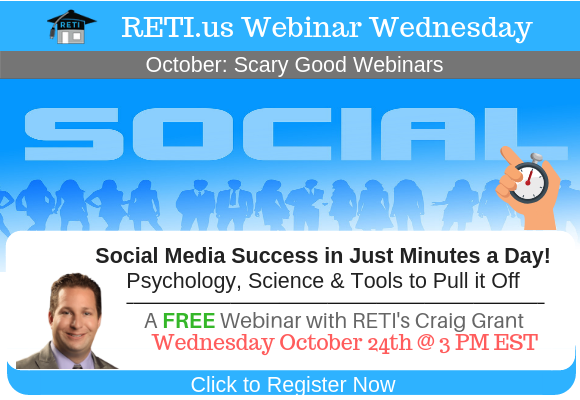 In this session, RETI’s Craig Grant will teach not just how to do social media, but do it the right way and in just a few minutes a day! In this session we will explore the science (why just a few minutes a day works & how to game the ever changing algorithms), psychology (who uses & excels on each social network) & time management skills and tools you need to be a powerhouse in social media and not have it overtake your day.